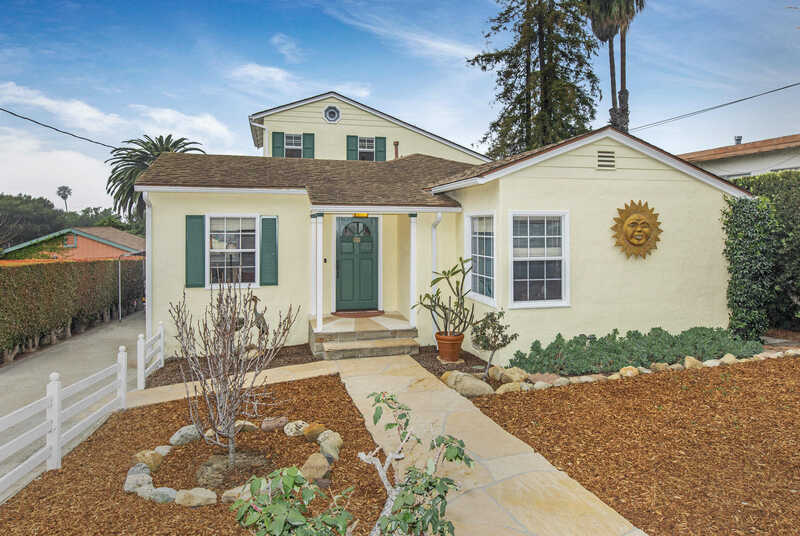 MLS# 19-1049 - 112 Santa Ynez St, Santa Barbara, CA 93103 - Andrew "Andy" Adler — Century 21 Butler Realty, Inc.
On a quiet street between the lower Riviera and Eucalyptus Hill, this 2 bedroom 1 full and 2 half-bath, 1,901+/- sqft ocean view opportunity awaits its new owners. With a delightful amount of natural light, hardwood floors, and stained glass details, this home boasts both charm and character. The original 1945 home was expanded in the 1980's to add a family room and a very large second story master bedroom with ocean views, balcony, vaulted wood-beamed ceilings, and a half bath. The back yard has an entertainment deck, fruit trees, and space for gardens and/or lawn. A large basement/hobby room and garden storage shed attached to the one-car garage allow various options for the artist, gardener, or craftsman. Conveniently situated with easy access to the freeway, beach, shopping, and more. Huge basement / hobby room. Please, send me more information on this property: MLS# 19-1049 – $995,000 – 112 Santa Ynez St, Santa Barbara, CA 93103.